With all that going for them already, how are today’s community gardens blazing their own trails today? What 21st-century twists are they implementing to solve problems and benefit residents in their neighborhoods? We’ve rounded up the following inspiring stories and how-to’s to help you grow your own successful and innovative community garden to fit your community’s unique needs, courtesy of three visionary ioby Leaders. Why they’re doing it: “All children are at risk of facing trauma,” Emily explains. “And the effects are far-reaching: social and mental health issues, alcoholism, drug use, diabetes, depression, suicide attempts, heart disease, violence. I wanted to try to understand how to serve kids who face a lot of trauma.” Art in the Garden meshes hands-on learning with art and nature to teach children to recognize their feelings, move to a place of empowerment, and heal from trauma. How they’re innovating: The Brooklyn Urban Garden Charter School (BUGS) already had a student-created, school community-run food garden in its recess yard and a native plant habitat and herb garden out front. But why not bring the outside indoors, too? 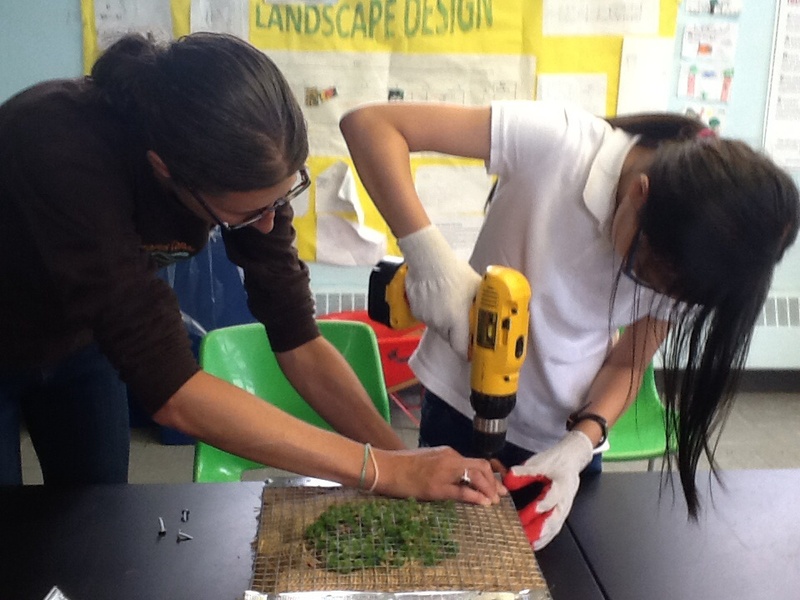 BUGS decided to build a series of indoor food garden systems in several locations within the school to complement its outdoor sustainability curriculum. 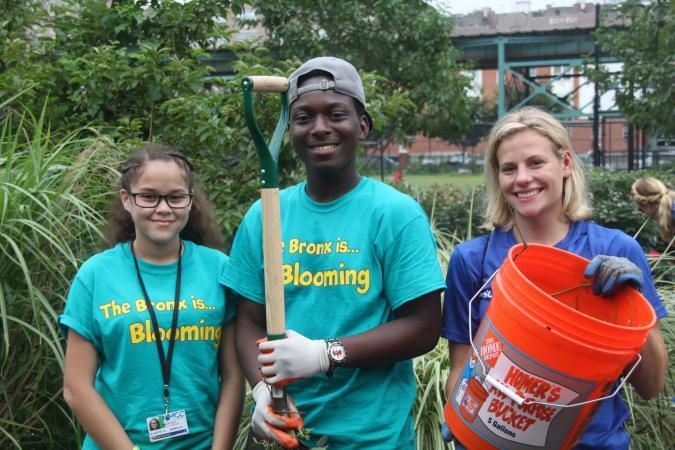 How they’re innovating: The Bronx Is Blooming is a nonprofit dedicated to environmental advocacy, community building, and youth leadership development. Its Program for Leaders Advancing their Community’s Environment (PLACE) empowers Bronx high school and college students to mentor their communities in the preservation and revitalization of local parks and gardens. Why they’re doing it: Youth education and mentorship engender long-term stewardship and appreciation of local green spaces. PLACE addresses key health issues in the Bronx by enhancing green spaces through restoration; fighting obesity by increasing access to green spaces and encouraging physical activity; and combating asthma through the stewardship of trees in public places. 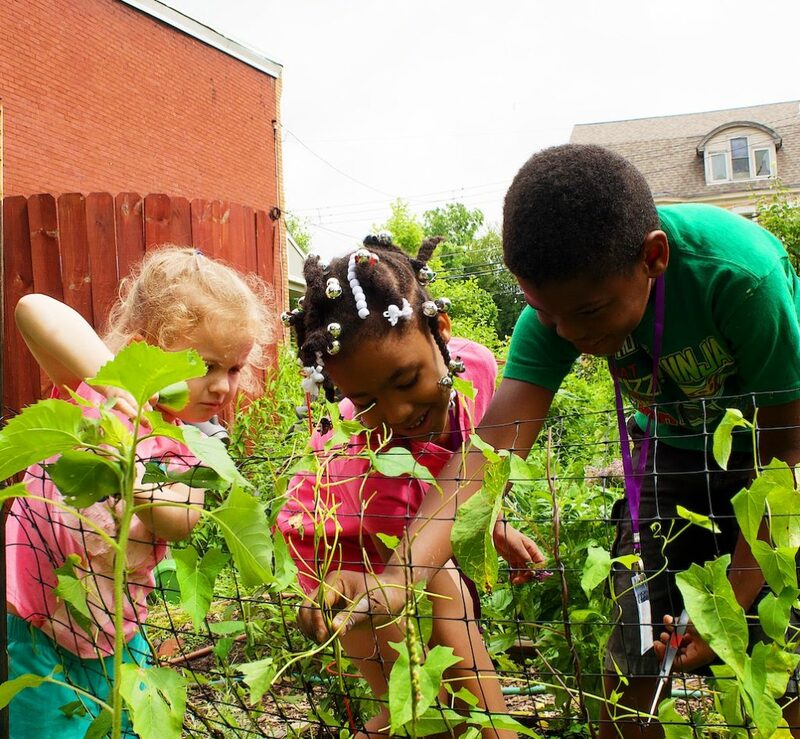 Between 2013 and 2016, under the guidance of PLACE student leaders, thousands of community residents got outside and cared for their gardens and parks. – Webinar: A great addition to our webinar series, “Bringing the Green: Crowdfunding and Community Gardens” brought community garden luminaries Sheryll Durant (of the Sustainable Flatbush Healing Herb Garden) and Avital Aboody (formerly of the H.A.C.E.R. Project’s Gilliam Family Community Space and Garden) together in conversation with ioby Leader Success Strategist Jennifer Allen to discuss the best ways to raise more green for your green space. – Reclaim It! A Citizen’s Guide to Transforming Vacant Lots into Community Gardens: This ioby guide walks readers through the nine steps to converting a vacant lot into a community garden, how to survey potential garden sites, how to check zoning laws and water availability, how to create a budget and fundraise, and much more. – The Land Grid: This website offers nationwide property data and mapping tools for everyone—it can be a good starting point to figure out who owns that empty lot down the street, and to see whether you and your neighbors could repurpose it for a new community garden. – “‘Whose land is this?’ How to find out who owns vacant lots in your neighborhood”: This ioby blog post has more tips about figuring out who owns the community-garden-to-be on your block. Feeling inspired? Want to start or upgrade a community garden where you live? There’s no time like the 21st century! Tell us your idea, and we can help you get started.